Etihad Airways, the national airline of the United Arab Emirates, has agreed to increase its stake in airberlin, Europe�s sixth largest airline, to 29.21 per cent, becoming airberlin�s largest single shareholder. The strategic move, announced today in Berlin by Etihad Airways Chief Executive Officer James Hogan and airberlin CEO Hartmut Mehdorn, connects the airlines� extensive networks and frequent flyer programs to offer travellers 239 destinations across 77 countries. James Hogan said the deal was one of the most important in Etihad Airways� history. �We expect such growth will also offer a host of additional employment opportunities, both in Europe and the United Arab Emirates,� Mr. Hogan said. � airberlin will shift its Middle East operation from Dubai to Abu Dhabi; airberlin will operate four A330-200 flights a week between Berlin and Abu Dhabi from January 15, 2012 - with European travellers having immediate access to a total of 29 flights a week to and through Abu Dhabi from four German hubs, with a plan to increase to 42 flights from mid-April; the airlines will implement an extensive codeshare agreement, with Etihad Airways codesharing on 36 of airberlin�s 171 destinations and airberlin codesharing on 24 of Etihad Airways� 82 passenger destinations, and plan further expansion of the pool of codeshare routes; Etihad Airways will sign codeshare agreements with the airberlin group for all European activities including NIKI, the Austrian airline, and Belair, the Swiss airline; and Etihad Guest and topbonus, the airlines� frequent flyer programs, will be integrated, enabling passengers of both airlines to �earn and burn� on each other�s flights and offering reciprocal benefits - including status earning � to top tier members.Under the agreement, Etihad Airways will have two seats on the Board of Directors of the Air Berlin PLC. The two companies will seek anti-trust immunity, which would allow greater coordination of route networks and of sales and marketing activities. airberlin and Etihad Airways are committed to creating a joint procurement taskforce to look for cost efficiencies across the two companies, including areas such as fleet procurement and deployment, maintenance, repair and overhaul (MRO) and general procurement. Etihad Airways� minority stake will consist of 27.03 per cent from a new share issue by airberlin, funded from operational cash flow, and an existing interest of 2.99 per cent (pre-dilution), which will amount to a total interest of 29.21 per cent. The new shares will be issued at a price of EUR 2.31. It was a wonderful and delicious experience for Los Angeles area travel writers, who were given an introduction to travel experts from a bevy of delightful regions in the Alps at a luncheon in SLS Hotel on La Cienega Boulevard. Select regions of the Alps addressed included Zermatt, Kitzbuehel, St. Anton am Arlberg, Eugadin-St. Mortiz, Grindelwald and Jungfraujoc. Among the Alps visitors were Sammy Salm, Managing Director of Best of the Alps, Veronica LaFranchi from Ticino Switzerland, Sibylle Gerardi from Luzern Switzerland, Philippe Vignon, Director Geneva Tourism as well as Peter Katz of the LA Austria office, who organized the event. Swiss International Airlines is offering special fares from major US cities. Visit: www.swiss.com. Cernobbio - November 4th - The Daily Telegraph conducted a poll among their 25.000 readers who last October 25th voted �Italy as their favourite European country, and the Villa d�Este on Lake Como as their top hotel�. �Its continued level of excellence is due in no small part to Jean-Marc Droulers, who has steered the Villa d�Este ship for more than 40 years. He retires at the end of next month; but the decision of his talented prot�g� Danilo Zucchetti to turn down a lucrative offer to run the new Armani Hotel in Milan in order to keep the Villa d�Este on the top of its game bodes well for the future - and is eloquent testimony to the loyalty this palatial Lake Como hotel inspires�. 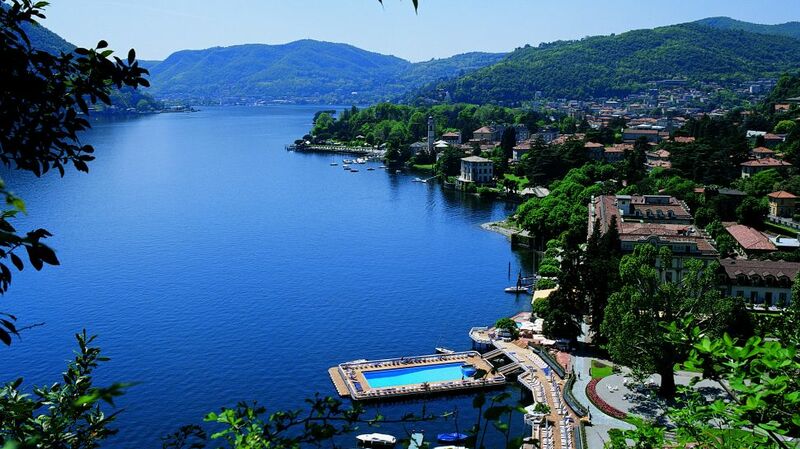 The Grand Hotel Villa d�Este is located on the western shore of Italy�s Lake Como. Surrounded by 25 acres of gardens, the hotel has 152 rooms housed in two equally beautiful buildings, the Cardinal Building (1568) and the Queen�s Pavillion (1848). In addition, two private villas are available for short-term tenancies, Villa Malakoff (3200sf) and Villa Cima (7000sf). The Villa d�Este Group Hotels owns the award-winning Villa d�Este and Villa la Massa in Florence; both are Leading Hotels of the World. For more information on these properties, please visit www.villadeste.it or www.villalamassa.it. Stretching nearly five miles through Canada�s capital city of Ottawa, the Rideau Canal Skateway is the world�s longest naturally frozen skating rink. It is so conveinent, you'll probably spot commuters skating to work. Any travel experience would be far from complete without exploring the destination�s cuisine. Accordingly, the Los Angeles Travel & Adventure Show TM, taking place at the Long Beach Convention Center on January 14-15, will feature delicious, interactive demonstrations at the Culinary Stage. The International Fiery Foods Challenge invites guests to take their taste buds to the limit, sampling mouth-watering recipes from around the world. Guests can also participate in a high-stakes cooking competition and learn travel tips for foodies. The International Fiery Foods Challenge brings together local chefs representing destinations found at the show. From familiar cuisine to the exotic, all dishes will have a delightful kick. The demonstrated foods are Frikadelle (a sort of German meatball), Spicy Tequila Marinated Prawns, Rendang Padang (Indonesian Caramelized Beef Curry), and Medjool Dates with chorizo, mascarpone and Tunisian harissa (a chili sauce). Participating chefs are Kai Loebach of CurryWurst, Amir Thomas of Duo Dishes, SriAdriani 'Jenny' Martono of Indonesia Tourism, and Tracey Augustine of Cashmere Bites. After tasting, guests can vote for their favorites and take home the recipes to recreate them. The Mark DeCarlo Interactive Cooking Class and Competition will follow the Fiery Foods Challenge. Three lucky audience members will be picked from a drawing to prove their kitchen skills right on the spot, recreating a dish of Mark�s choosing. The audience will vote for the best cook, who will win an all-inclusive Yucatan vacation. The Culinary Stage has good eats for Sunday�s show-goers as well. The Taiwan Tourism Bureau will hold a �Taiwan Popcorn Chicken� demonstration with Chef Frances Lee of the Mighty Boba Truck. Then, Ventura based Chef Jason Collis will host �Farm to Table�Luscious Lemon and Avocado Taste Sensations from 120-year-old, Sustainable Limoneira Ranch.� And, see a top Herradura Tequila ambassador demonstrate Tequila pairing tips. Following this demo, attendees can meet the brand ambassador and taste samples at the Herradura Tequila bar next to the Los Angeles magazine booth. Also not to be missed is �Travel for Foodies � Tips, Trends, and Tools for the Culinary Traveler,� with food and travel experts Michael Cervin, Linda Kissam, Dr. Kathy Gruver, and Chef Allan Cragg. In addition, the Los Angeles Travel & Adventure Show will feature talks by some of the world�s most beloved travel personalities, including Samantha Brown, Andrew Zimmern, Peter Greenberg, Pauline Frommer, Mark DeCarlo, and Patricia Schultz. Attendees can enjoy cultural performances and participate in a variety of activities including scuba lessons from Beadiver.com, a 25� rock climbing wall, zip line, and children�s activities area. The five-acre show floor will be packed with more than 400 destinations, tour operators and travel professionals providing one-on-one consultations on visiting destinations as near as Catalina Island and as far as Indonesia. The 2012 Los Angeles Travel & Adventure Show�sTM Presenting Sponsor is the Taiwan Tourism Bureau. Supporting Sponsors include Air Berlin/Visit Berlin, Guam Visitors Bureau, Indonesia Tourism, Turkish Culture and Tourism Office. Los Angeles Magazine, NBC4 LA, Los Angeles Consortium of Online Travel (LACOT), Press-Telegram, KABC-AM and KLOS-FM are the flagship Media Sponsors. The event, produced by Unicomm, LLC, will take place at the Long Beach Convention Center Saturday, January 14th and Sunday, January 15th, 2012, 10:00 a.m. to 5:00 p.m.; travel trade may enter the show on Saturday, January 14th at 9:30am for an advance preview or attend during regular show hours. Tickets are $12 at the door or $9 online in advance with Promo Code: LAPR; children age 16 and below admitted free with paid adult. Ticket purchase information, a current schedule of speakers and more details are available at www.latravelshow.com. Elaborate costumes, handcrafted out of cr�pe paper in a rainbow of vibrant colors. Distinctively Bahamian music, comprised of rhythmic goombay drums, copper bells and mouth whistles. Prepare to see and hear it all at Junkanoo, the festive celebration which occurs on Boxing Day (December 26) and New Years Day in Nassau as well as on Grand Bahama, Eleuthera, Bimini and Abaco. The festivities kick off in the early hours of the morning and go on for hours. Junkanoo crews, arranged in large groups of up to 1,000, are organized around a particular theme and their costumes, dance and music reflect this theme. Each group member creates his her own costume and it may take up to a year to complete the intricate designs. Although the rules require that only one person carry each costume, some can weigh upwards of 40 pounds. The Junkanoo competition in Nassau, which populates Bay Street, is hotly contested and at the end of the procession, judges award cash prizes for the best music, best costume and best overall group presentation. It attracts an audience from all walks of life, from well-known celebrities to tourists and local Bahamians. To purchase your ticket online, please visit http://www.caribtickets.com/. The Islands Of The Bahamas have a place in the sun for everyone from Nassau and Paradise Island to Grand Bahama to The Abaco Islands, The Exuma Islands, Harbour Island, Long Island and others. Each island has its own personality and attractions for a variety of vacation styles with some of the world�s best scuba diving, fishing, sailing, boating, as well as, shopping and dining. The destination offers an easily accessible tropical getaway and provides convenience for travelers with preclearance through U.S. customs and immigration, and the Bahamian dollar at par with the U.S. dollar. Do everything or do nothing, just remember It�s Better in The Bahamas. For more information on travel packages, activities and accommodations, call 1-800-Bahamas or visit www.Bahamas.com. Look for The Bahamas on the web on Facebook, Twitter and YouTube. To purchase one-of-a-kind items from The Bahamas, visit www.eshopbahamas.com. JetBlue Airways (Nasdaq: JBLU) shares its top tips for flying free-from-stress this holiday season, allowing customers to enjoy their travel experience as much as they do their final destinations. Riding in a one horse open sleigh is nice, but flying with via Terminal 5 (T5), JetBlue's home at New York's John F. Kennedy Airport (JFK) is even nicer. T5 offers a spacious check-in lobby with dozens of self-service kiosks, the largest single security checkpoint in America, huge gate areas with a higher-than-average amount of seating and electrical outlets to recharge, a wide variety of last-minute shopping and dining outlets, and free Wi-Fi service. With amenities like these, even Santa might consider a different mode of transportation this year! JetBlue is getting ready for the busy travel week and the more than 10,000 flights and close to one million customers flying today through January 3, 2012. New York's Hometown Airline� is reviewing staffing, making sure facilities are in good shape, and adding its own little helpers at its base of operations at JFK this week to assist customers today through Friday, December 23. Make a list and check it three times: The best way to remember to bring everything you need for your trip is to make a packing list and check the items off as you place them in your bag. Take it from Santa; he wouldn�t remember all those gift requests without an organized list! Hoping for a midnight clear, but we�re prepared: JetBlue prefers that it doesn�t snow, but it sure is pretty, and the New York-based airline is no stranger to winter operations. Be sure to check the status of your flight and the national weather service forecast before heading to the airport, particularly if there is bad weather. If it does snow, learn more about how inclement weather can impact air travel. Stroll, don�t dash through the snow! Leave extra time to get to the airport and through security, particularly if you�re traveling with small children. It�s recommended you arrive at the airport two hours before your domestic flight and allow three hours for international. An extra 30 minutes can make the difference between a rushed or relaxed travel experience. Save time by checking in and printing your boarding pass at home so you can skip airport lines, drop your bags at the counter and head straight to security. You can track your sleigh (or flight) on JetBlue.com, and get information regarding weather advisories, changing or canceling a flight, retrieving a boarding pass and checking-in for a flight 24 hours in advance, as well as tracking real-time flight information for family and friends. Customers can also access mobile.jetblue.com from any web-enabled cell phone or PDA while on the road for real-time flight status. Jingle all the way: But don�t forget to remove the bells and coins and whatever else you have in your pockets when you go through the TSA security checkpoint! Also remember the 3-1-1 for carry-ons = 3.4 ounce (100ml) bottle or less (by volume) ; 1 quart-sized, clear, plastic, zip-top bag; 1 bag per passenger placed in screening bin. If you�re traveling with holiday gifts or treats, make sure to leave gifts unwrapped until after you go through security and check with the TSA before traveling with liquid or gel items to see whether they need to be placed in your checked bag, shipped ahead, or left at home if they are above the permitted 3.4 oz. On the 12th Day�: Your true love gave you more than you can place in the overhead bin. No worries! The first bag flies free on JetBlue, so pack two turtle doves, three French hens, four calling birds, five golden rings, six geese a-laying, seven swans a-swimming, eight maids a-milking, nine ladies dancing, ten lords a-leaping, eleven pipers piping, and twelve drummers drumming in a suitcase and check it* on us for free. (a). *Please note that JetBlue does not allow live animals (or eleven pipers piping) to be checked. The airline offers one of the pet-friendliest programs, JetPaws, with humane options for traveling with a small pooch or kitty this holiday season. You�ll have to buy seats for the eight maids a-milking, nine ladies dancing, ten lords a-leaping, eleven pipers piping, and twelve drummers drumming (and you might want to consider our Even More Space seats for maximum dancing and leaping room). Bah Humbug: For those who don�t love the holiday cheer, or the cold winter weather that this time of year is often marked by, the best way to warm the chill in one�s heart is to book a fabulous, affordable vacation to somewhere tropical. JetBlue always offers travel deals to a variety of heated destinations, where you can swap the scratchy sweaters for the pure delight of the warm sun on your skin. If you haven�t yet booked your escape, JetBlue Getaways is offering $100 off any vacation using promo code ENJOY100 (b) for bookings made by Dec. 31, 2011. New York-based JetBlue Airways has created a new airline category based on value, service and style. Known for its award-winning service and free TV as much as its low fares, JetBlue offers the most legroom in coach of any U.S. airline (based on average fleet-wide seat pitch) as well as super-spacious Even More Space seats. JetBlue is also America's first and only airline to offer its own Customer Bill of Rights, with meaningful and specific compensation for customers inconvenienced by service disruptions within JetBlue's control. Visit www.jetblue.com/promise for details. JetBlue serves 70 cities with 700 daily flights with plans to add three daily flights between Boston and its 71st destination, Dallas/Fort Worth in May, 2012. With JetBlue, all seats are assigned, all fares are one-way, and an overnight stay is never required. For information or reservations call 1-800-JET-BLUE (1-800-538-2583), TTY/TDD 1-800-336-5530, or visit www.jetblue.com. It�s a mobile closet. 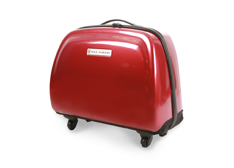 The sleek looking and light weekender luggage by MAX MIRANI makes short get-a-ways easier and safe. This bag hangs from the rod or a hook in the closet and never touches the ground; eliminating the possibility of picking up bed bugs. Special compartments hold everything in a very organized way, making getting dressed in a hurry or departing for a flight simple and efficient. The handle pulls up high enough to work for everyone, and the zippers slide easily to keep everything tidy. I recommend this great bag, especially for people traveling in areas where bed bug warnings are prevalent. For information visit: www.maxmirani.com.